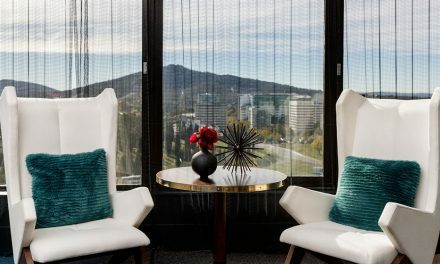 Gin has been rising in popularity and making more frequent special appearances in cocktails all over Canberra. 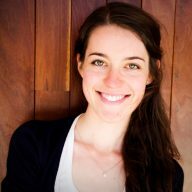 Made in either a dry or sweet style, the gin distilleries strive to create unique tasting gins through the addition of botanicals such as cucumber and rose. 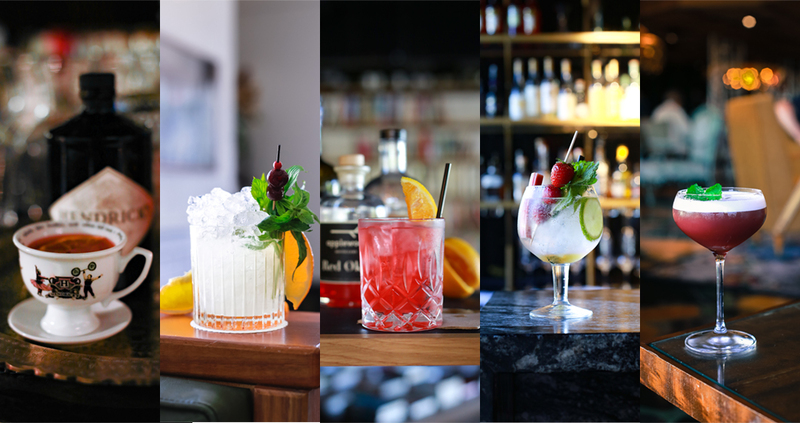 The possibilities of cocktails are endless, but here are five cracker cocktails from the capital featuring gin. Not quite a tiki drink… but rather a great interpretation. 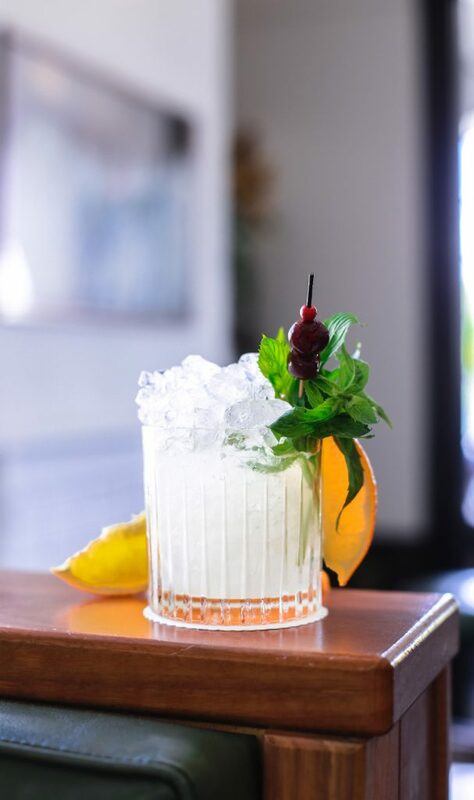 Using orange bitters instead of orange juice, lemon and sage cordial instead of mint, and coconut vinegar instead of syrup, this cocktail has an edgy point of difference to the standard tropical quencher. The perfect base for these flavours is Four Pillars Rare Gin, which is a savoury gin hailing from Melbourne, full of citrusy notes like blood orange, lemon myrtle and finger lime. The best holidays are full of the unexpected. Black Market puts its own spin on the breakfast martini with this gin-based cocktail. 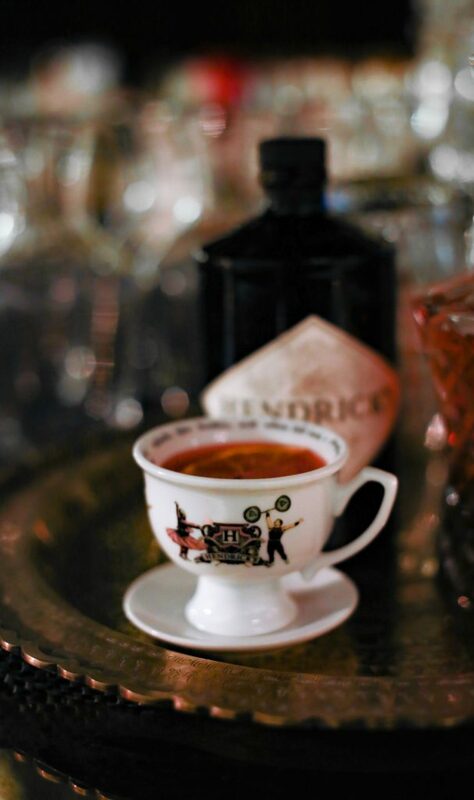 Full of the flavours of house-made blood orange and vanilla marmalade, the Dr Jekyll and Mr Hendricks is best enjoyed sipping from a Hendricks teacup. Hendricks Gin is cucumber based and delivers a floral and refreshing touch, pairing well with orange liquor and is balanced out by quinine bitters. Best enjoyed with pinky finger appropriately poised for a tea party. Served in a glass the size of a goblet, there’s no mystery as to why Joe’s Bar has called this imaginative G&T ‘giant’. 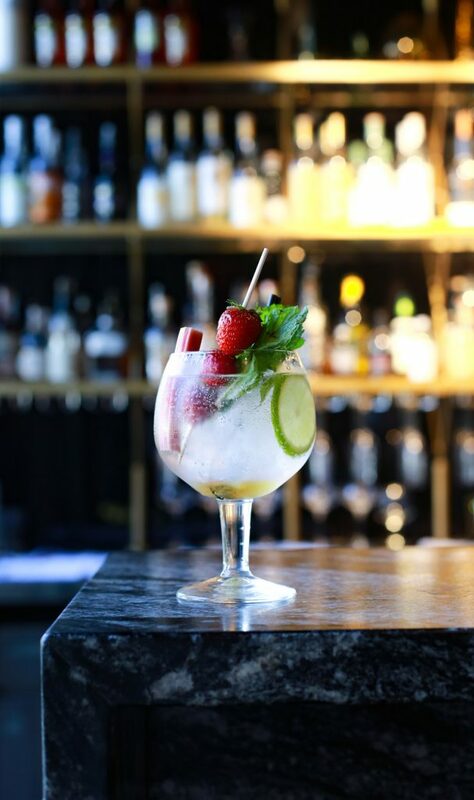 It features Botanist Dry Gin, and pairs well with the citrusy flavour of fresh lime and skewered strawberries. Pickled rhubarb is a creative twist, bringing a tartness to the mix which is then balanced by sweet agave and refreshed by mint. Fruit salad in a glass. 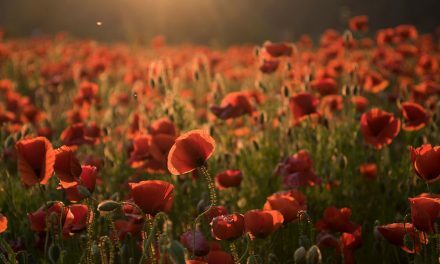 If an English tea party in a garden of spring blooms had a flavour, this would be it. 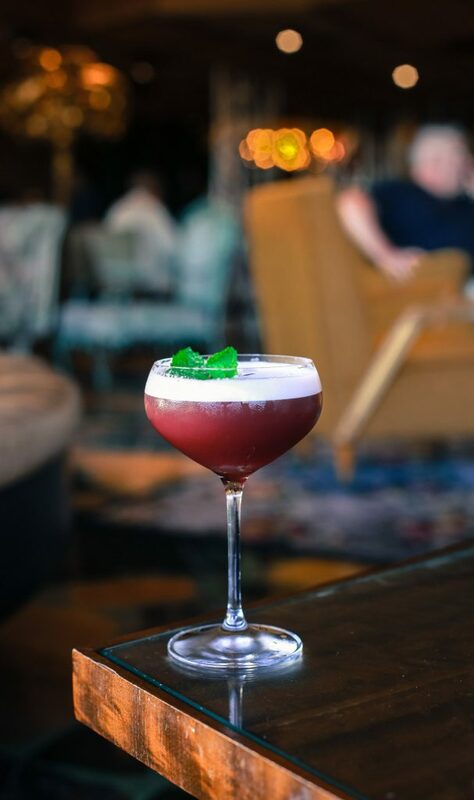 Tanqueray Gin has been infused with Earl Grey tea, imparting it with the distinctly floral taste of bergamot, while crème de cassis creates a deep purple hue and blueberry flavour, and egg white gives it a silky-smooth texture and fluffy head. Decorated with fresh mint, just the look of this cocktail makes you want to frolic in the garden. 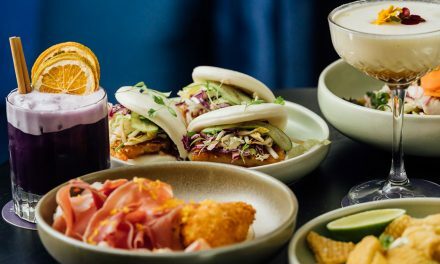 Muse is all about using Australian ingredients, and its beverage menu is no exception. 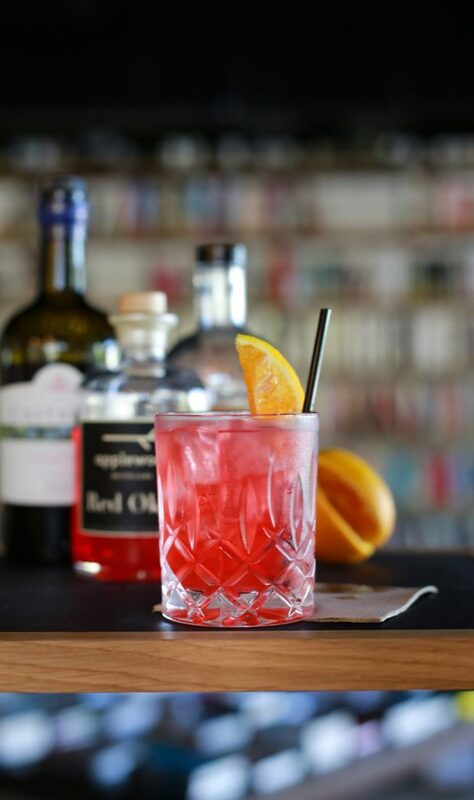 This all-Australian negroni combines Canberra Distillery Gin, with Castagna Classic Dry Vermouth, a red vermouth from Beechworth and a bitter hit of Applewood Distillery Red Økar from South Australia. 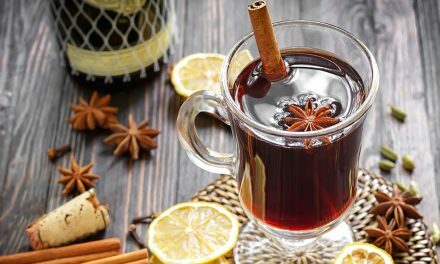 While some love the bitterness and others prefer something sweeter, there is no doubt even just the vibrant red colour of this cocktail is alluring.